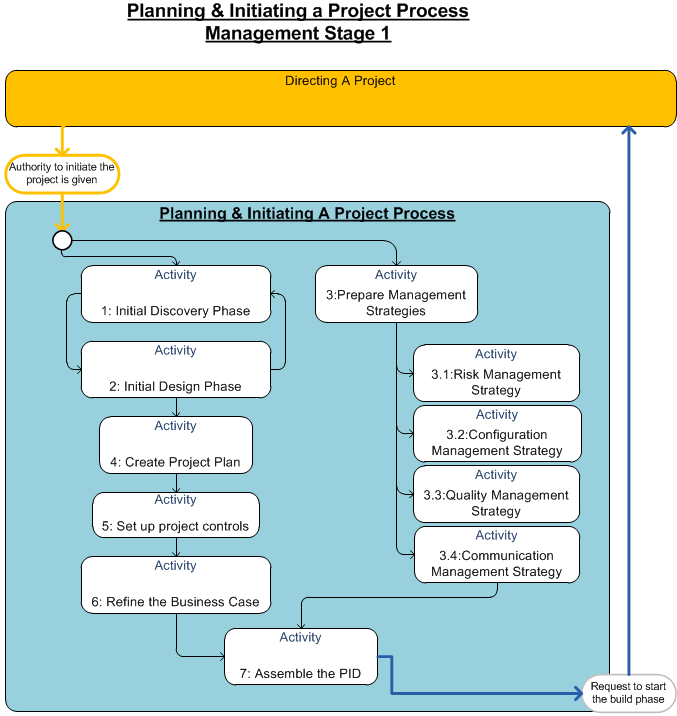 The diagram shows the Planning & Initiation process broken down into sub-processes. The initial discovery phase can be used to gather information for defining requirements in the design process. The Project Product Description is also an output of the discovery phase. This is a high level description of what and possibly what will not be included in the end product or service. The initial design phase can be used to define suitably detailed functional and non-functional requirements. Wireframes should be developed and usability testing carried out to get feedback from target customer groups. We will also look at how much up-front planning is necessary. As the decision to invest or not to invest in up-front planning is normally taken by senior management, let’s start by looking at up-front planning from the senior manager’s perspective. Senior managers are measured by the profitability of their organisations. It is only natural that senior managers will make decisions about investing in up-front planning that they believe will result in improved profits. We will look at three options involving varying levels of effort invested in up-front planning, and you will be shown why it is believed that option 1 and 3 are not the best choices. 3. Very little or no planning. Before we look at these three options lets describe what success is, in terms of a project that will deliver an e-Commerce solution. To determine if an e-Commerce solution is successful we need to look at success from at least three perspectives. •	The customers’ satisfaction in using your solution against the availability of other options. •	The operating & maintenance costs of the solution and the ability to add new features and enable the solution to evolve based on market demand. The customers will measure the solution by the quality of the experience they have while shopping or browsing online. The only way you can understand what it is the end customer wants, is through getting an understanding of their expectations and then designing the solution to meet those expectations. NB: This group includes non-technical team members such as business users who will be involved in defining requirements. •	The quality of the solution for ease of use by the end customer. •	The ability to scale and modify the solution easily and quickly. Business executives and senior management need to go for up-front planning, that will enable the developers to be successful, which in turn will ensure customer satisfaction. The “Extensive and detailed up-front planning” group seems to assume that all the people involved communicate perfectly and are able to think of every possible scenario. We are human and this just does not happen. The reason for this is that e-commerce solutions have an element of uniqueness for every organisation. Those building the solution need to learn how the organisation will work with the solution. The people who will work with the solution need to learn how technology will make their working lives easier and more effective. The consequence of doing too much up-front planning is that solutions need to be radically re-designed during the project or a product is delivered that does not meet evolving business needs. The “Very little or no planning” group are possibly motivated on the basis that they will (1) cut costs by not spending time planning, and (2) start making money quicker by going directly into building functionality, so therefore should deliver the final product quicker. Experience shows that without adequate up-front planning the team has no common road map. This results in several negative issues such as, important business needs are overlooked, functionality is built in the wrong order or is incomplete resulting in time waist as corrections are made. The option I encourage you to take, is to carry out sufficient planning using the rolling wave approach starting with the Planning & Initiation core process. 1. Expected customer interaction and behaviour with the public site. 2. Expected employee interaction and behaviour with the administration/back office site. 6. How to manage orders and payment. 7. How to implement functionality to for merchandising and marketing. By the business making an appropriate investment in discovery and then blueprint design. The development team is by default given the time necessary to define a product of the right quality that will make your solution attractive to customers, which means that it will make more money for your business. The solutions appeal and ease of use will establish your brand, increase your ability to sell products, generate customer loyalty. The time invested in defining the right architecture will give your e-Commerce solution a longer, and more stable lifespan. Maintenance cost will be much lower and the ability to remove no longer desired functionality and add new functionality will be easier and more cost effective.